My hubs snapped this shot of me "working" this morning. This is me on most days. On my patio, in my backyard, with all my furbabies. I LOVE animals can you tell? 😊 I remember back in the day when I had to leave them to go to work and it broke my heart. So grateful for this life by design now. I get to be with them and that makes my heart so happy. Do you have to leave your babies (fur or human) and want to stay home? Have you found that life as an adult isn't everything it's cracked up to be? Did the dreams you have as a kid fall short because of.. massive student loan debt? 60 hour work weeks? Limited time off and flexibility in your career? The paycheck to paycheck grind controls your life? Three years ago, I was in the same position. It was at that time that I was introduced to the Coach opportunity. At first, I blew the opportunity off. I signed up only for the discount because I am a #CancerSurvivor and NEEDED the nutrition to help me, well… live! I didn't think I was fit enough or healthy enough to coach others. I didn't know if I had time or the energy to help since I was on my own journey recovering. But I found when I shared about my journey, it was helping others, they started reaching out and asking what I was doing and if they too could do it with me. I couldn’t believe that this 65 pound over weight, over 40 woman, was inspiring others. And to be honest, even with 90% insurance coverage, we were left with $32,000 in medical bills. I couldn't stand the paycheck to paycheck life anymore, so I decided to give it a shot. Now, I'm living the life that I LOVE. 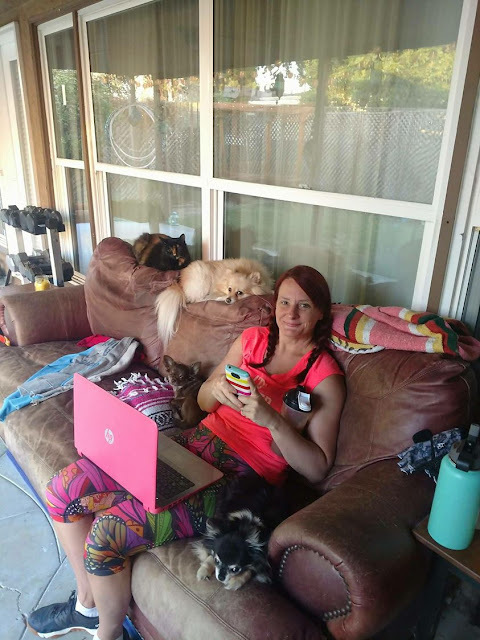 With hard work and determination, I've built a six figure business from home, and the best part is that it's based upon helping other people reach their health and fitness goals. I feel fulfilled in my new career. I feel like I'm making a difference in the lives of others while earning more income than I ever would have in my corporate career; and I have so much more flexibility and freedom too. I want to help you achieve the life you dream about. I will show you how to build your own at home fitness business STEP BY STEP through the same process that I've used to find such great success. If you'd like to learn a bit more about how to join my ELITE TEAM (top 1%), message me or drop your favorite emoji! I can help you fly IF YOU DO THE WORK! There is no guarantee any level of success or income from the Coaching Opportunity. Each Coach’s income depends on his or her own efforts, diligence, and skill. I believe in you. You ready to take action?